Mayor Rahm Emanuel on Monday named Mexico-American activist Adolfo Hernandez to be the director of Chicago’s new Office of New Americans, which will attend to matters concerning immigrants. 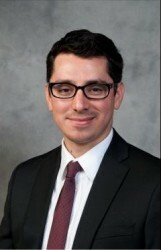 Hernandez, the son of Mexican immigrants, was born and raised in Chicago’s Little Village neighborhood and has experience in community initiatives related to health and quality of life. His mission will be to train immigrant small businessmen so that they can get access to available local, state and federal resources. Also, the office will seek to increase the participation of immigrant parents in the Chicago Public Schools and to centralize education, public safety and health policies so that they can be communicated to the public more efficiently. The Office of New Americans will also be in charge of coordinating the free services that exist in Chicago to teach English to immigrants. Also, Hernandez will be in charge of supporting the fulfillment in the city of the Illinois Dream Act, a local version of the law that is stalled in the U.S. Congress which uses private funds to support undocumented students who want to go to college.